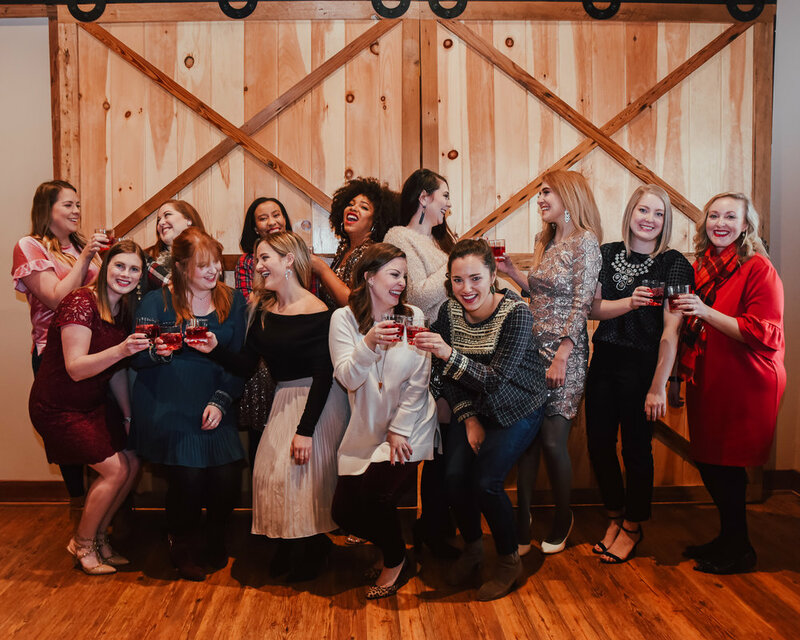 We are right in the midst of the hustle and bustle of the holiday season, which means both hosting and being a guest to all the holiday parties. I love to cook as much as the next person, but I don’t always like to spend hours in the kitchen..especially if I am personally hosting an event or dinner. I’m too much of a social butterfly to be stuck in the kitchen. 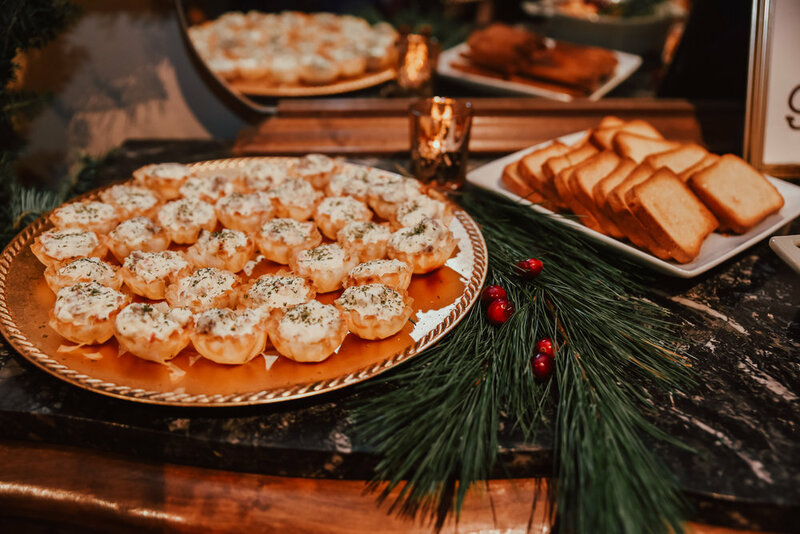 So when a group of 15 Kentucky bloggers came together to host a holiday event at Jeptha Creed Distillery , I knew this appetizer would be absolutely perfect. You can easily put this dish together in about 10 minutes. Plus the combination of sweet fig, tangy brie and deliciously light and fluffy dough is to die for! This is one of my new favorite appetizer recipes to make for any occasion, and I hope it becomes yours as well! Enjoy! There were so many great dishes at our event! My friend Maya from Pugs and Paprika made these delicious Parmesan Sausage Cups, Whitney of Fabulous in Fayette made a savory Sriracha Caesar Salad with homemade croutons, and my foodie friend Leela from Lex Eats made these perfectly soft and chewy White Chocolate Cranberry Cookies….of which I ate about 5 haha. Not only was the food amazing, but the holiday decor and other festive elements really brought this entire event together beautifully! Stay tuned for my full blog post on the entire event coming this week! Thank you to Jeptha Creed in Louisville, KY for hosting our holiday event. Special thanks to all the vendors who contributed to our event and goodie bags: Barrel Down South , Hillenmeyer Christmas Shop , Mirabelle Creations , Work the Metal , Drake’s , Lexington Lettering , and Whole Foods-Lexington . 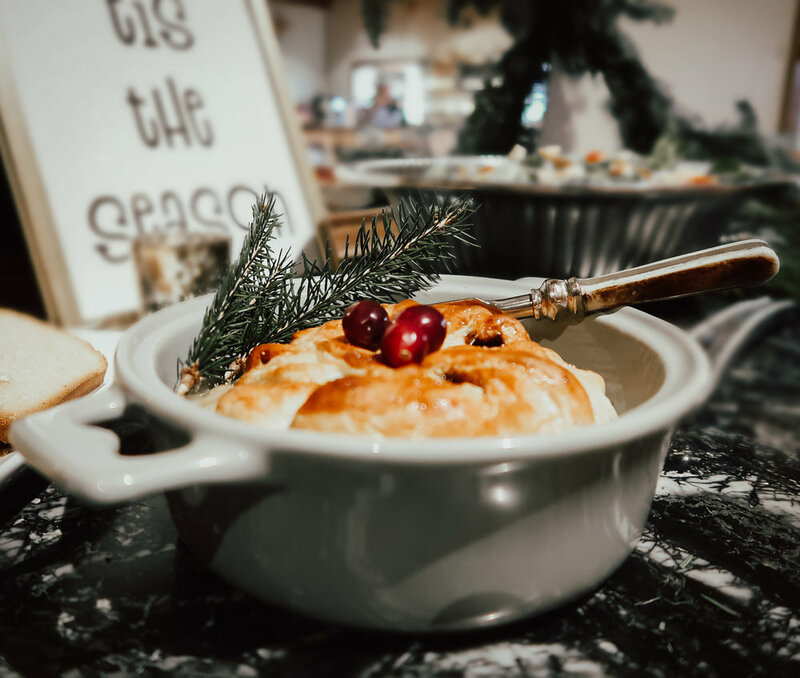 Visit these other Kentucky bloggers for more holiday inspiration!